Ex-Australia prop Cam Blades will coach the Combined Country side against the British & Irish Lions on June 11. The match is the fourth in the Lions' tour and Blades will be assisted by Todd Louden, Garrick Morgan and Col Jeffs for the match at the Hunter Stadium in Newcastle. 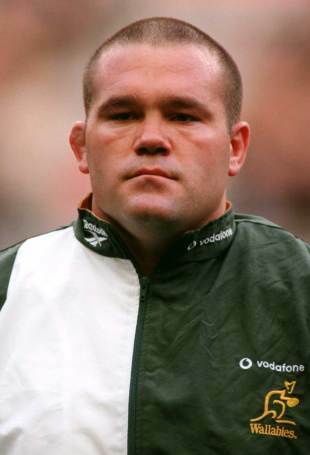 Blades, who won his sole Wallabies cap against England in 1997, played against the Lions in 2001 for both Australia 'A' and the Waratahs. Blades, who has also played for Glasgow, is in charge of Sydney's Southern Districts and has also worked with Fiji in the past. And he is keen to rekindle some memories from 2001, with his side consisting of players from New South Wales and Queensland. "I played my last two games in Australia against the Lions," Blades said. "I had the thrill of beating the Lions with Australia A in Gosford and then lined up against them the following weekend for NSW. The opportunity to play against the Lions is an unforgettable experience. Because they travel here only every 12 years, you can miss out on the experience even if you have a career of incredible longevity. "I consider myself lucky to have run out against them in 2001. Those memories are certainly some of the fondest of my rugby career." The 40-man Combined Country squad will be confirmed on May 24 with the final matchday line-up announced on May 31. "We have a spread sheet of available players," said Blades. "It includes players currently with Super Rugby franchises, with Premier Rugby clubs in Sydney and Brisbane, or currently playing with the NSW Country or Queensland Country representative teams. "We are picking the side on an Origin basis and selection will be on merit. We want the best side out there and anyone who fits the criteria is in the running. We still have to sort through the availability of some Super Rugby based players we might be interested in, and we hope to have that finalised over the next 10 days."